Henney Residence - Lawrence Thompson Architects, INC. 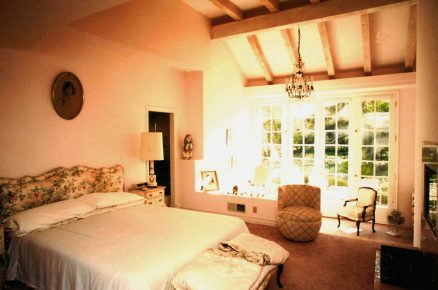 This project fully remodeled an existing three bedroom residence at 712 Ashley Road in Montecito, using a dual-beamed gambrel ceiling in the Master Bedroom, central Family Room and Kitchen. 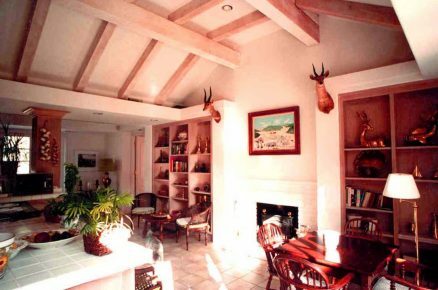 The gambrel ceiling provided height and a rustic theme while softening the interior and providing a transition with other flat ceilings. 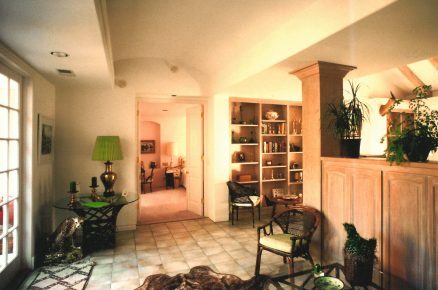 A new Master Bath suite was added, and French doors provided space and lighting to the southwest. Brian Wingate, Contractor.